Designed specifically for high-volume usage in health club settings, the L7 Club Treadmill is ideal for walkers, joggers, and serious runners alike. It offers a 50.80 cm x 147.32 cm (20” x 58”) running surface, 6.35 cm (2 ½”) steel rollers, and 181.44 kgs (400 pound) user weight capacity. Our L7 Club Landice Control Center offers great features to keep you running. Choose from three L7 Club control panels to find the features that suit you best. 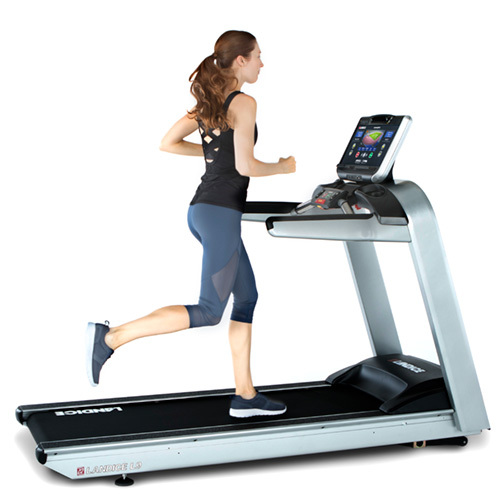 Customize your Landice L7 Club Treadmill to suit your running style, workout goals and personal preferences. The Landice L7 Club treadmill's commercial-grade construction is quality-crafted for high-volume demand.